Eventhough the are a lot of Los Roques posadas and there is no international Airport, because it is a preserved area. It does not have an international harbour either. You can either go by your own yacht or you have to take a Los Roques flight from the international airport in Caracas Maiquetia (CCS). This is very practical, because there all international flights arrive. If you want to travel to Los Roques and there there are flights from Maiquetia ( CCS ) and also from Higuerote. It is a 1,5h drive from Caracas airport to Higuerote. If necessary our driver will get you to Higuerote airport safely. He also takes you to Hotel Eurobuilding Maiquetia or Hotel Villa Playa Grande if an overnight at the airport is needed. It is a very short and pleasant journey from Caracas and it only takes 35 min to get to Gran Roque. 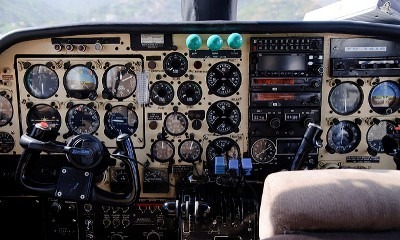 You can also board from other locations such as Margarita, but there are no scheduled flights, but we can do a charter from Porlamar to Los Roques for you if needed. The Dash 7 from AEROTUY carries 48 passengers. The Let 410 from Aercaribe has 17 seats. Here you find a list with the 4 national airlines flying to the marvellous archipelago of Los Roques. Aerotuy: It was founded in 1982 and flies with Charter flights to the most important national parks in Venezuela ( Canaima, Los Roques ). The fleet counts 1 DASH 7. 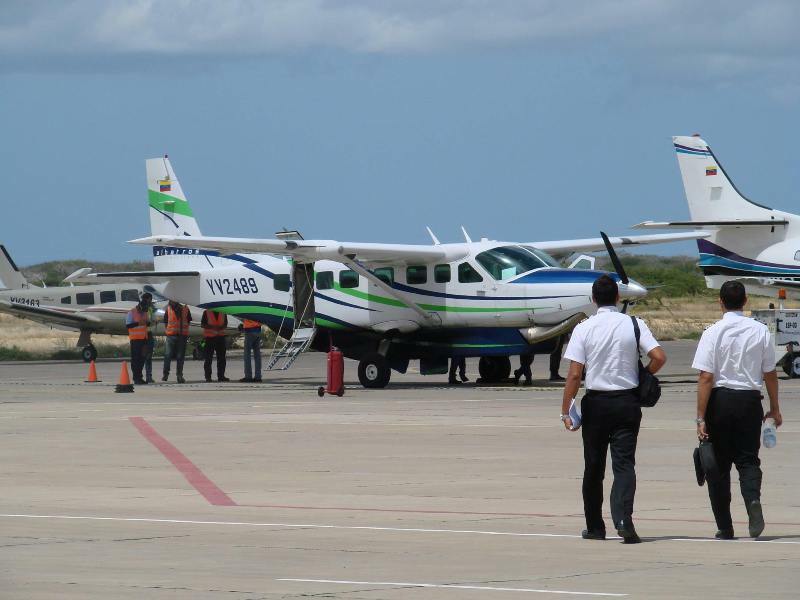 Aerocaribe: Aerocaribe flies with LET 410 from Caracas to Los Roques. Albatros Airlines is flying with a Cessna Grand Caravan from Caracas to Los Roques. Fly to Los Roques is flying with Jetstream from Caracas to Los Roques. Book a flight to Los Roques! A current flight ticket to Los Roques cost from 260 USD to 300 USD per passenger. Nowadays a reservation is mandatory, due to the increased number of travelers to Los Roques. In fact, you are obliged to make a flight reservations one week in advance prior to departure date. Children under the age of one year are given 90% flight ticket price discounts, while children between the age of 2 and 11 are given a 30% discount. Los Roques flights depart on a daily basis from the Caracas Airport on the ensuing timetable: 6 am and 16 pm. Return flights from Los Roques operate at: 8 am and 5 pm. Note that these flight schedules depend on the day of the week, as well as the airline. The maximum luggage capacity allowed for any passenger is 10 kg. Any luggage exceeding the 10 kg, passengers will be charged 1 USD for every additional kilo. Los Roques belongs to the most beautiful places in the world. Besides it is a national park and a preserved area. Visiting the archipelago is a dream for many. If you have already made a research on flights to Los Roques you may found out that you cannot book them just via every site which usually sells flight tickets. So, if you want to travel to Los Roques you will not find any direct flights to Los Roques. You always need a stop at Caracas international Airport. We book your flight to Los Roques. You only have to fill out our contact form and we will get in touch with you. Moreover we organize your posada in Los Roques. Book your Los Roques Flights Now !